The other name of absorption costing is full costing, total costing, conventional costing and orthodox costing. Under absorption costing, both fixed costs and variable costs are charged to cost units. Absorption costing is a technique or principle of cost ascertainment. 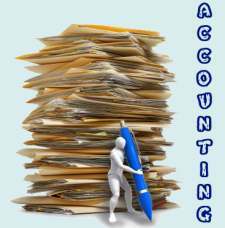 All the financial accounting statments are based on the absorption costing. All the costs are divided into three categories under absorption costing as manufacturing, selling and administrative cost. 1. Category 1: Firstly, all the manufacturing costs both fixed and variable are deducted from the sales revenue to get gross margin/gross profit on sales in income statement. 2. 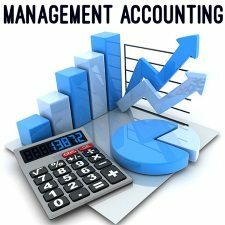 Category 2: Secondly, the selling and administrative expenses both fixed and variable are deducted from the gross margin/gross profit to arrive at the net operating income. 3. Category 3: The fixed factory or manufacturing overheads are charged to the units produced on the basis of predetermined fixed manufacturing overhead rate. The following formula is used to calculate the fixed manufacturing overhead rate. If the actual level of output is more or less than the normal level of output, adjustments are made for the level of output differences. If the actual level of output is more than normal level of output, the amount of over absorption is subtracted from the total cost of goods manufactured and sold. If the actual level of output is less than normal level of output, the amount of under absorption is added with the cost of goods manufactured and sold. A proforma of Income Statement under Absorption Costing is presented below.